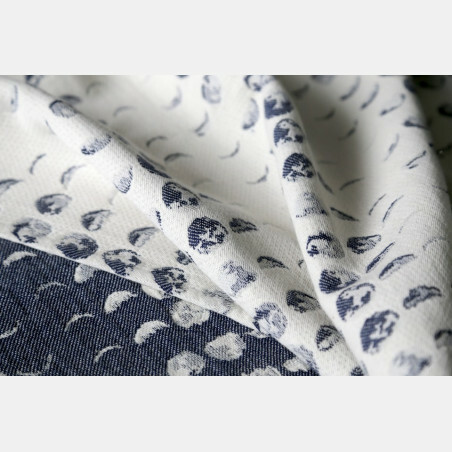 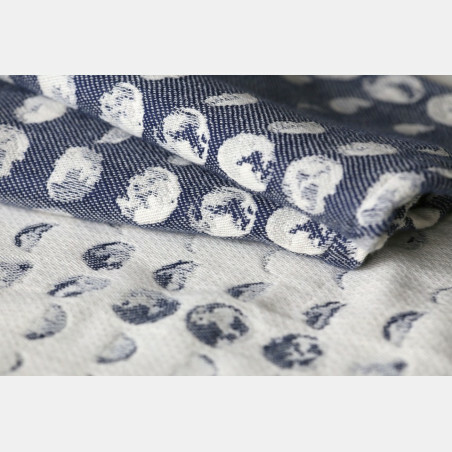 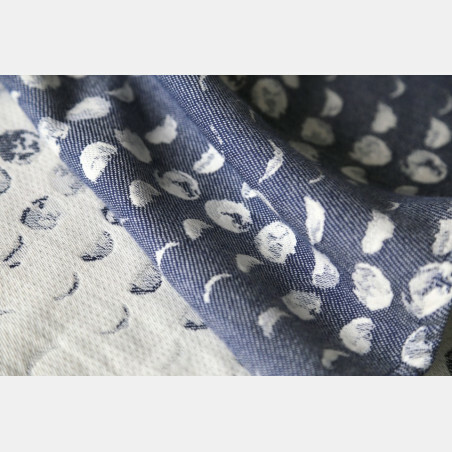 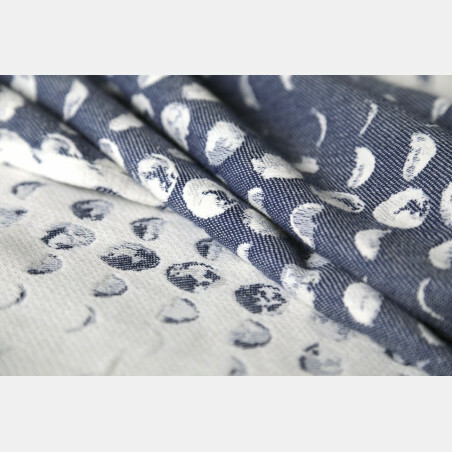 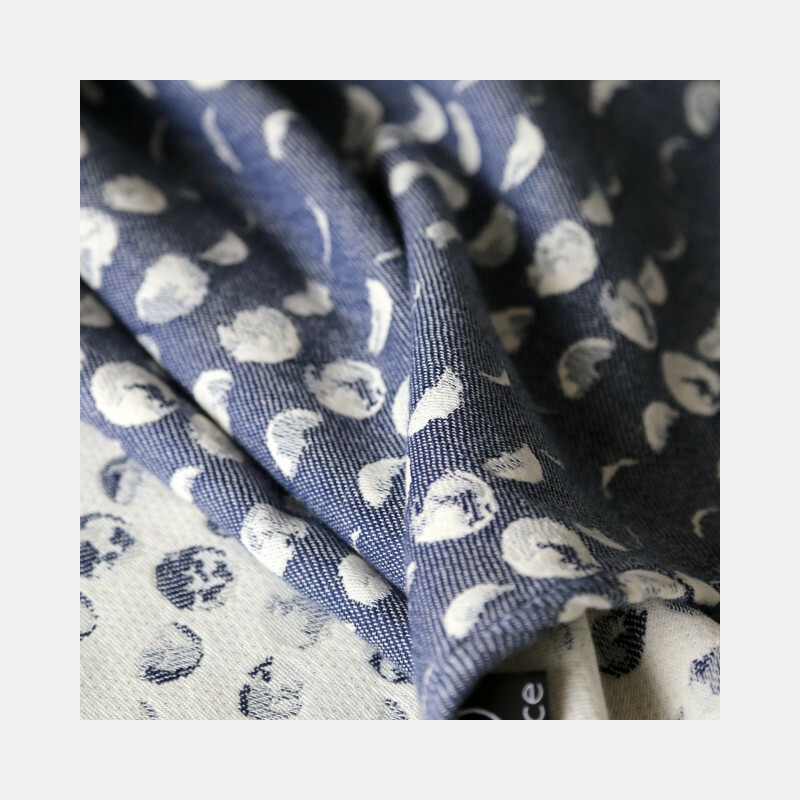 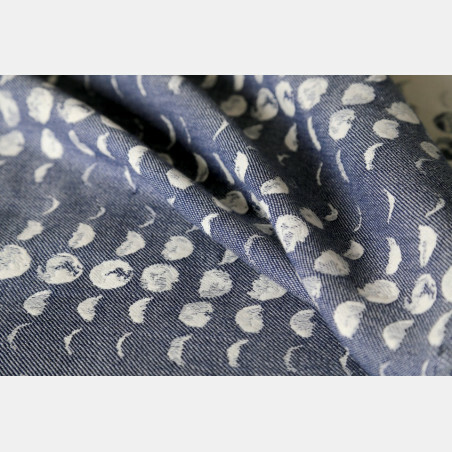 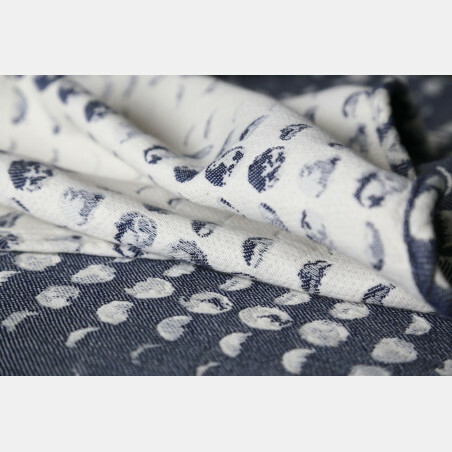 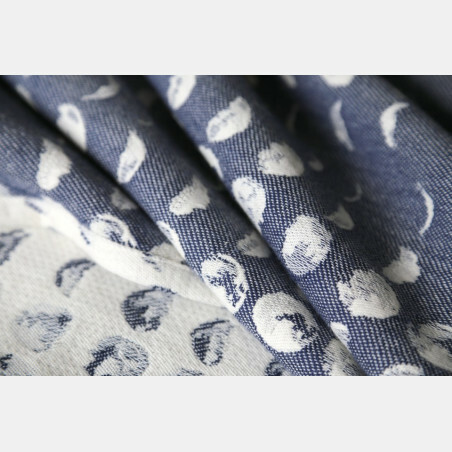 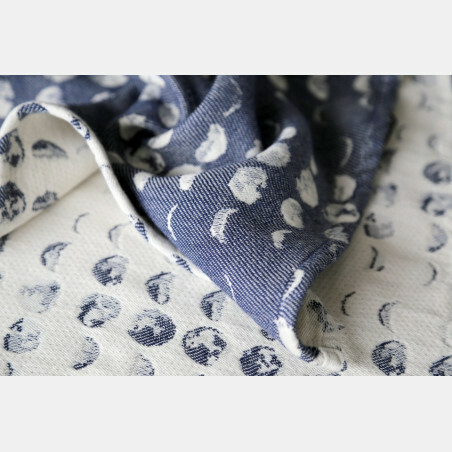 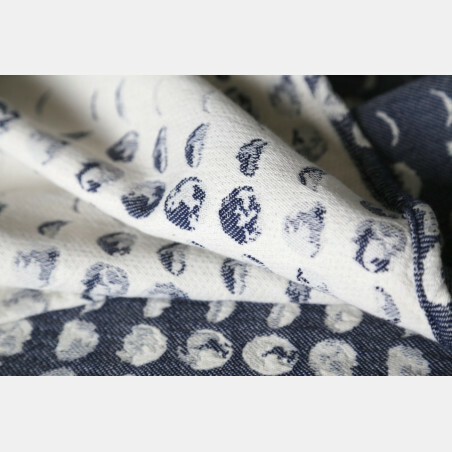 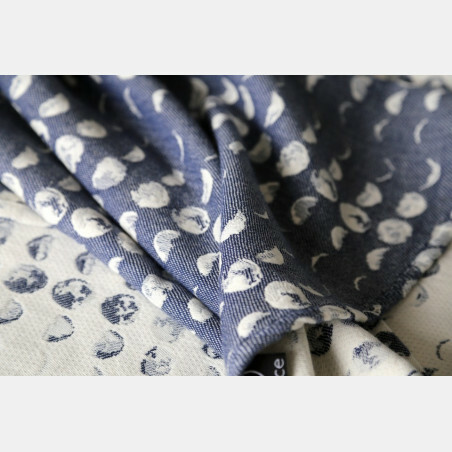 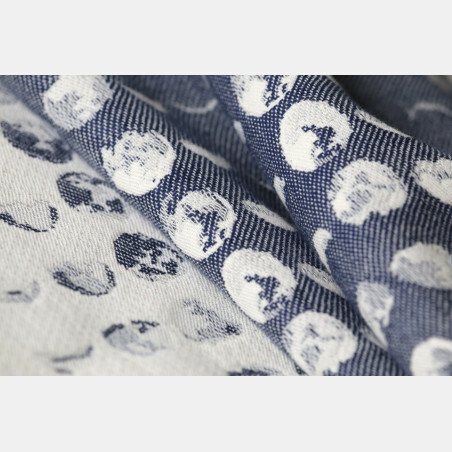 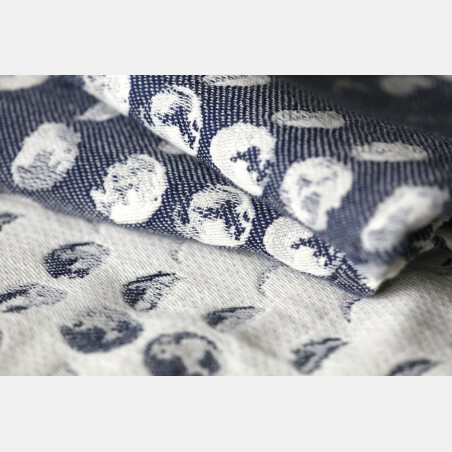 Moons Cruise - our enchanting moons pattern in the all time favorite, classy and timeless navy blue. 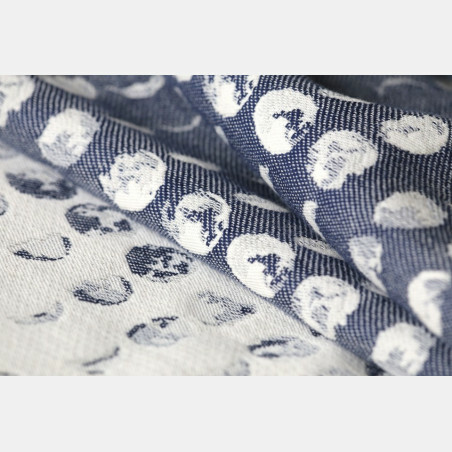 Our signature cloudberry weave is perfectly balanced in softness and support. 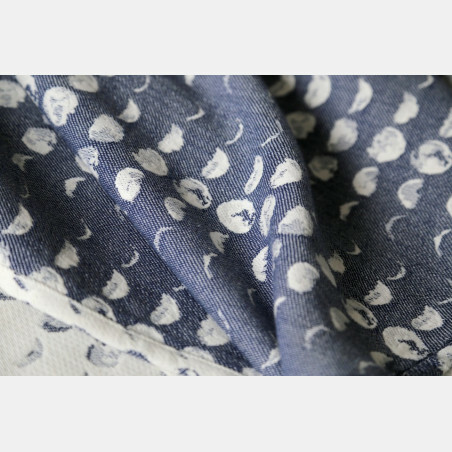 It is suitable from newborn to toddler and is always gentle on your body. 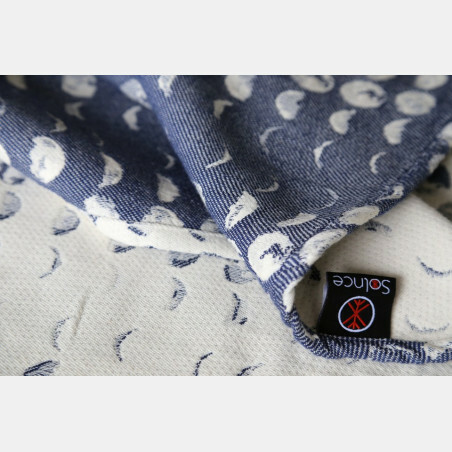 Bourette silk offers the necessary amount of grip while cupro adds subtle shine and silky feel. 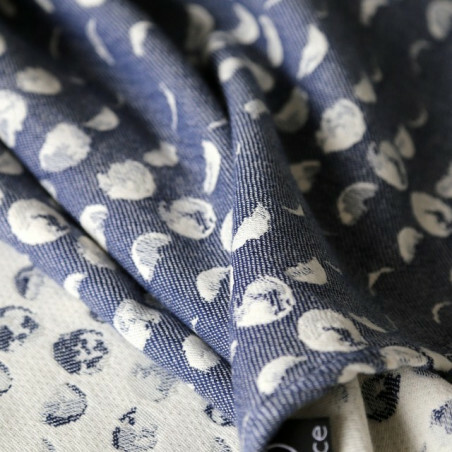 A soft, strong, airy and easy in use wrap which is suitable for every outfit, is a valuable addition to your spring-summer babywearing gear. 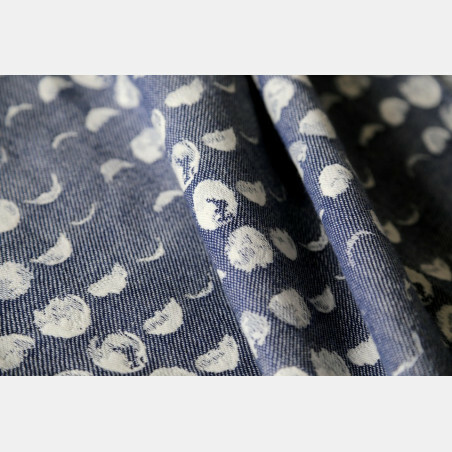 This wrap comes with a hand wash tag but it is suitable for the machine wash on gentle wool/silk setting at 30 degrees Celsius with a maximum of 600 rotations.